After testing $1,280 early this morning gold has rebounded by $14 and the gold stocks have garnered a buy throughout the day. David Erfle, Founder of The Junior Miner Junky joins me to share his thoughts on this positive reversal. 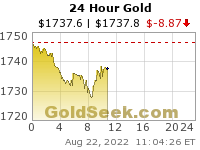 With stocks leading higher and gold bouncing off the strong resistance this is a very nice sign for PM investors. Yes, it’s very curious how charts respond to support and amazing when we see these “coincidences”. Thanks for the charts Matthew. Hi Matthew keep the good stuff going! On a personal note I’m heavy on impact and keep adding at every opportunity. Great choice. Hi Glen, I hope all is well! Even MRRMF rose from 9 cents to 12 cents. Maybe the bottom is in? Matthew, Doc, and AL, are you NRA members? I just signed up for 3 years and hope they are not a front for a Soros outfit. Bonzo, you are right to wonder about the NRA. I am not a member and will never forget how the organization endorsed Bill Richardson (D-globalist) for POTUS instead of Ron Paul. Like so many other organizations (e.g. FOX, Drudg, Breitbart etc) and individuals (e.g. Alex Jones, Ben Shapiro, Jordan Peterson etc), the NRA represents approved, if not controlled, opposition. Isn’t it “interesting” how mainstream textbooks fail to address the following quote? The American Revolution was not just about taxation, it was about fighting tyranny in general. Commoners who argue for gun control should be seen for the ignoramuses that they are. Gann Report out………and platinum is going higher…….look for a triple % gain…maybe about 188%…, but, it has moved up 17%, ….so take it from there….. 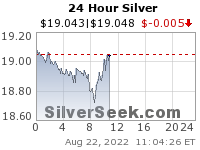 Platinum does not move in the same direction as HUI, gold or silver. We will see…….about this time next year. Historically speaking of course. Fipke now owns 47.4% of Cantex, it had a big day up 37%. $USAS was also on the move today (up 20%) which is a lot for a mid-tier producer. They announced their financing deal with partner $SAND Sandstorm Gold helping to launch their construction of the Relief Canyon asset gold asset in Nevada that they got by acquiring Pershing Gold. Also having Pierre Lassonde involved from Franco Nevada should speak volumes. I was surprised by their sale of San Felipe to Premier Gold, but they are staying focused on their main projects, so more power to them. It is time for a good re-rating in this stock over the next 12 months, and the larger production profile and size of assets should bring more institutional investors and funds into this dual listed growth story. Here was another bright spot for the day – Anaconda Mining putting out great drill results (again) but few investors paying attention to this story still. It just gives me more time to keep accumulating, but I’m surprised some of the drill junkies out chasing crap stocks that will never go into production are not more focused on a real company continually nailing milestones and exceeding guidance in their production efforts. Eventually folks will wake up to Anaconda’s pattern of success. – 16.54 g/t gold over 1.3 metres (105.0 to 106.3 metres) including 26.53 g/t gold over 0.8 metres in hole BR-18-69. April 4,2019- The beat goes on -ANX releases stellar drill results again ! USAS that is. Did you see Anaconda hired a new CEO. Guy sounds impressive and has been a board member for years and has had success taking miners to the next level. Don’t worry, Dustin is still in the picture, The story just keeps getting better! +1 Bought some this morning. A solid plan, as things are just getting geared up. Ex – I meant to post here. Seems like my postings never go where I intend!